These completely open air aluminum screen cages have a hinged front door for super easy access! They are terrific for Old World Chameleons, Juvenile Green Iguanas and other arboreal species of lizards, such as Geckos. 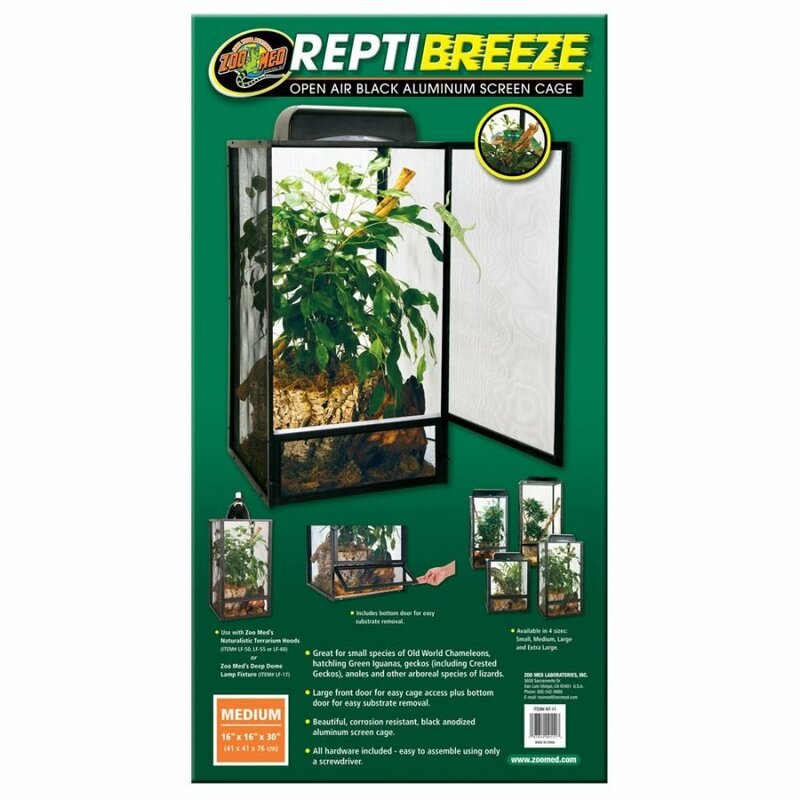 Reptibreeze Open Air Screen Cage has different options and/or variations, please choose below. 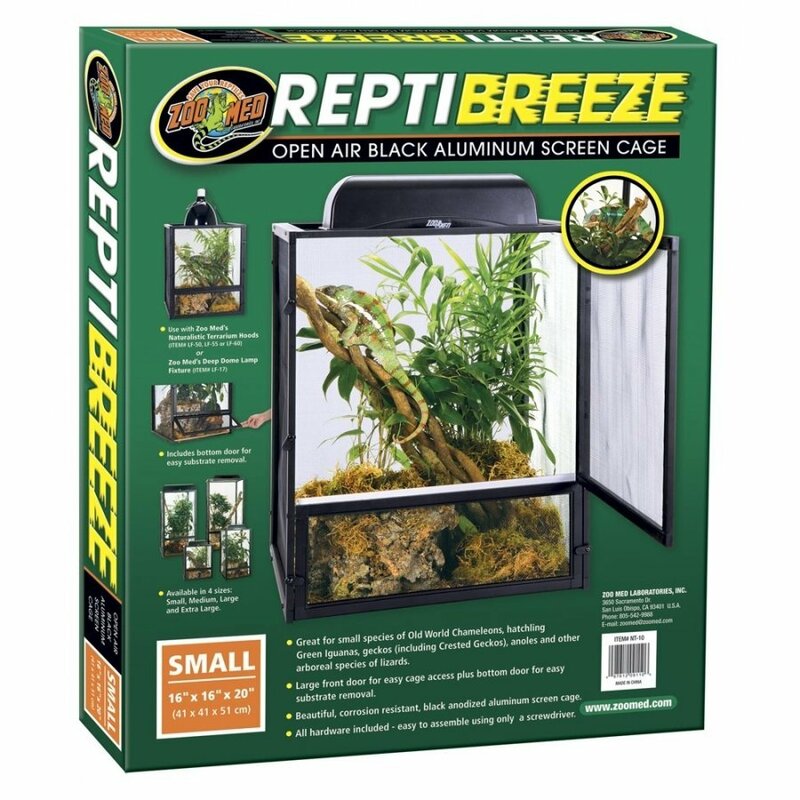 We are really impressed with the new Zoo Med Repti Breeze Screen cages... they are incredibly affordable, attractive and high quality. These completely open air aluminum screen cages have a hinged front door for super easy access! 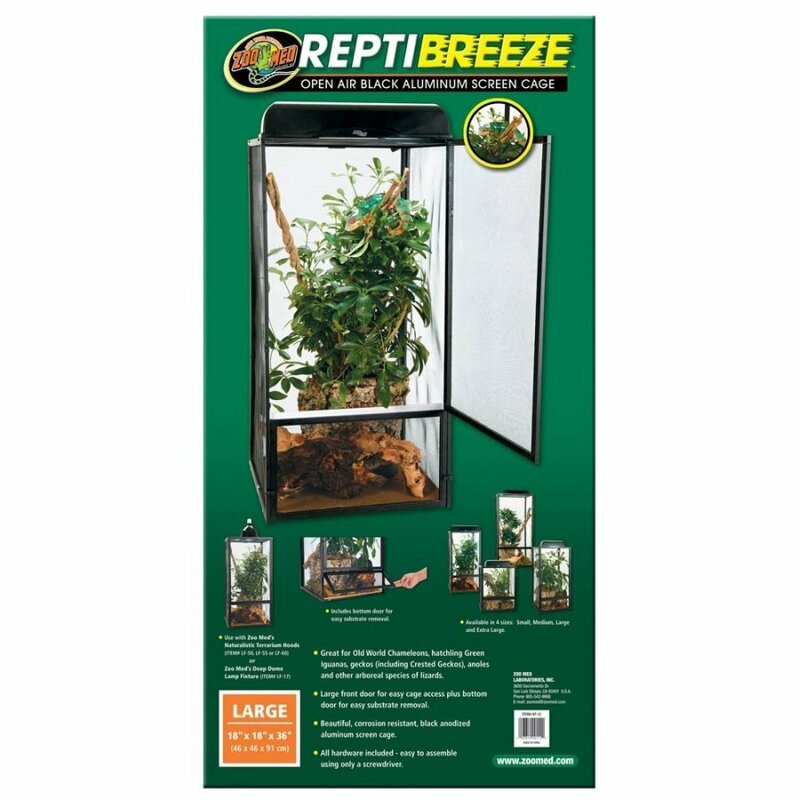 They are terrific for Old World Chameleons, Juvenile Green Iguanas and other arboreal species of lizards, such as Geckos, Anoles, etc. 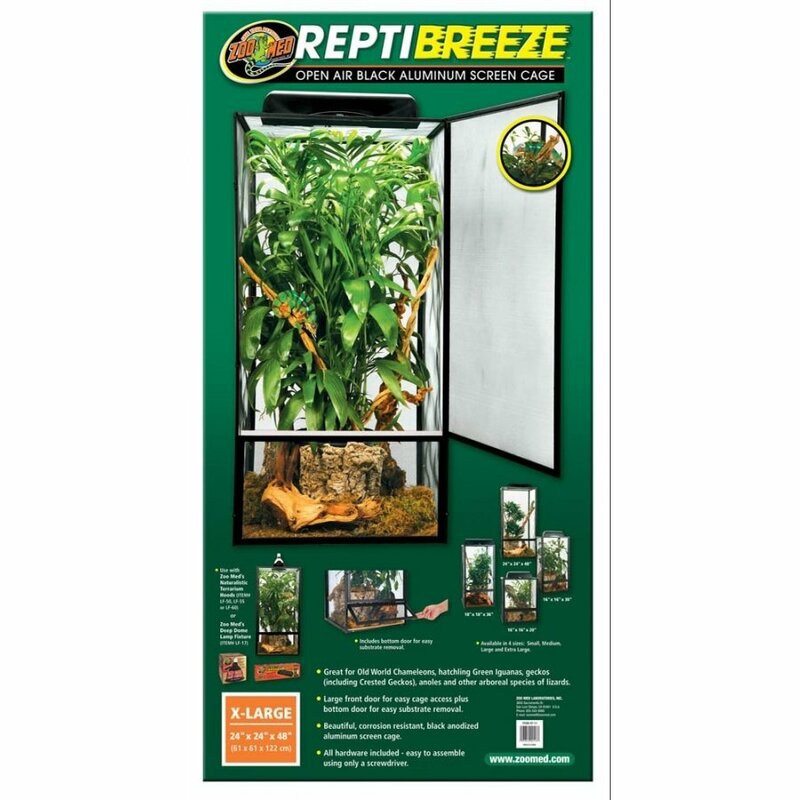 Don't forget about the bottom door which makes cleaning your substrate a "breeze". You're also going to love the beautiful corrosion-resistant black anodized aluminum screening because it looks great with any decor. All hardware is included and it's very easy to assemble using only a screw driver. Available in 3 sizes! Beautiful, black anodized aluminum construction. Small 16" x 16" x 20"